The Melitta 64014 manual coffeemaker has a smart design that occupies less space, and has narrow base to fit most car cup holders. This coffee maker is sized to make one full cup of coffee at a time. 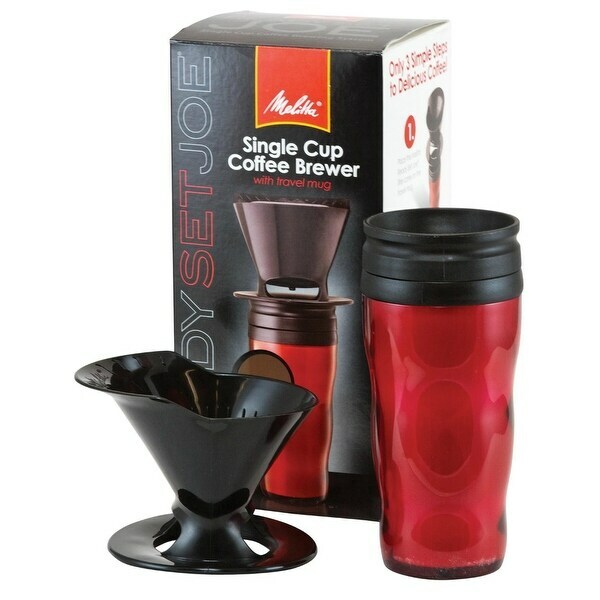 The travel mug holds 16oz of hot coffee and cone drip brewer window allows you to see how much coffee you are brewing. This Coffeemaker uses number 2 paper filters and slow drip tip delivers a richer, better tasting cup of coffee. The cone is BPA free and top-rack dishwasher safe.